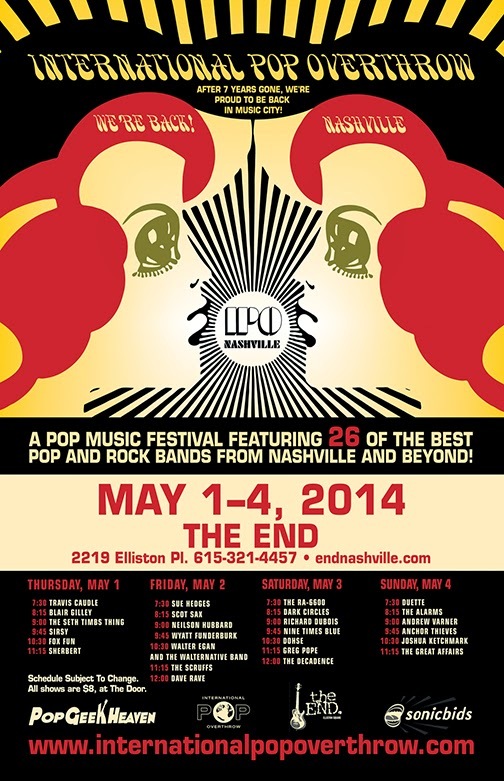 International Pop Overthrow returns to Nashville this week! So proud to be part of the festival and an amazing line up Saturday Night. This will be a full band show and one amazing night of power pop Nashvegas-style. See you there!